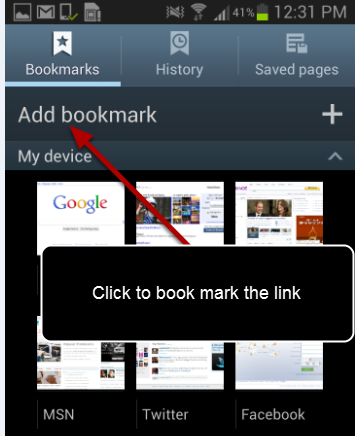 The Android Application is recommended for use on the Galaxy SIII and Galaxy Note II via the Chrome and Firefox internet browsers. You can access the Android App via your unique system address and then by adding "/m.html" to the end of the url. This version of the software is the same as iPad and iPhone version, However, unlike the iPad and iPhone versions, it cannot be accessed offline. 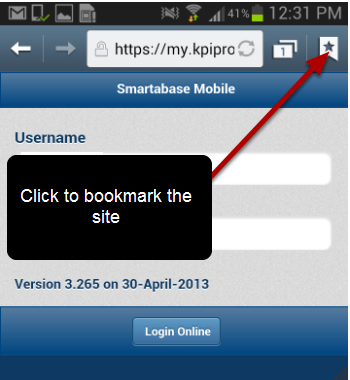 To access the Android App from a suitable phone you WILL need to have internet access. On the login screen, click on the bookmark icon on the top right (it may be different depending on the internet browser you are using). Name the Bookmark e.g. 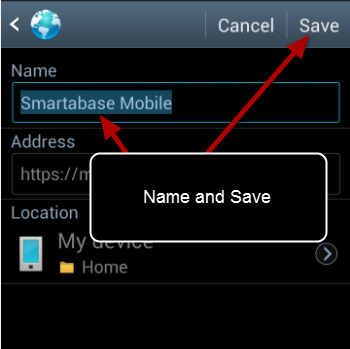 Smartabase App, and Save it. 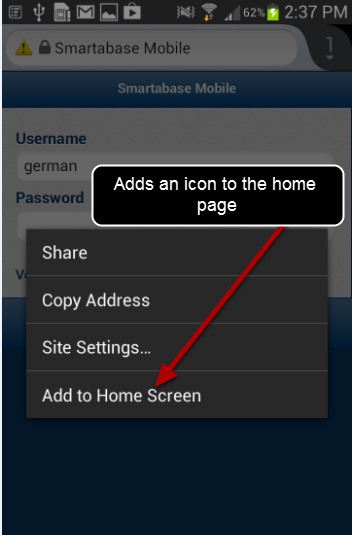 You can also create a Home Screen Link. On the Login Page hold your finger over the site address and a pop up menu will appear. 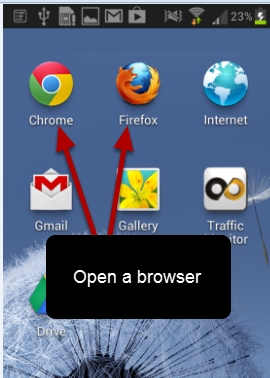 Hold your finger over the address and a separate pop up menu will appear. Click on "Add to Home Screen". It may be named something slightly different depending on the Phone and the browser you are on. 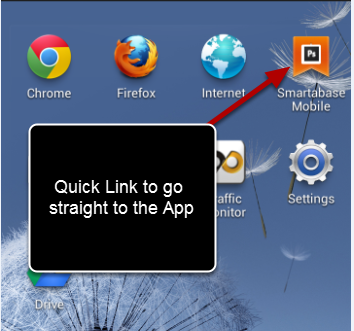 This will create a link on the Home Screen (as shown in the image in the step below). The colours and logo that appear will differ depending on your application colours and which site you use. Login with your normal username and password. You can ONLY login online on the Android App. On the iOS Apple App you can choose to login online or offline. 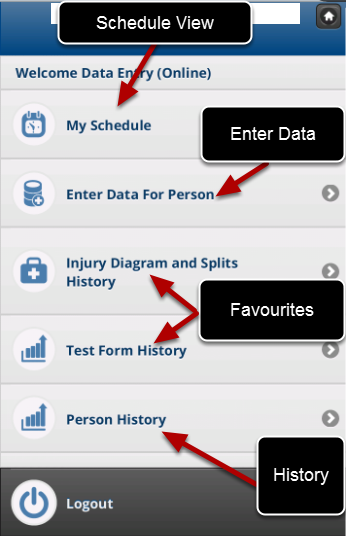 The Android and iOS application are built using the same functionality. To find out more about how to navigate through the Android Application see the Apple iPad and iPhone help manual.